Join the second edition of the event at CommLab India’s Training Challenges and E-learning Solutions Summit 2018 in Gurgaon for a one-day interactive workshop with leading experts and practitioners. Organizations are looking for high-impact, technology-enabled learning solutions to improve their training initiatives and boost organizational efficiencies. This becomes pertinent with the advances in digital technology. 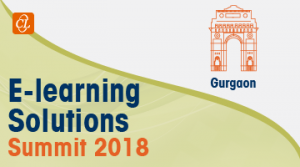 Training Challenges and E-learning Solutions Summit 2018, with a focus on e-learning and microlearning, will give you a unique opportunity to discover ways to increase the impact of e-learning in your organization, explore microlearning and discover ways to fit it in your training strategy. For complete details and to register for the event click here.